Diamonds in the Rough : Parenting Principle — Reward, don’t ‘bribe’!!! "I'm the mother of two married children, and grandmother of five. My husband Bob and I have been pastoring a non-denominational church for 28 years now. My passion in life is helping women achieve their full potential, especially in this day when women are pulled in so many directions. I'm excited about seeing the next generation grow up with character and integrity and I believe good parenting is the key!" & please take a moment to check out her amazing blog! Reward your children for good behaviour — don’t bribe them to get good behaviour!!! –’please take the garbage out, and I will give you a treat’. I hope you can see the difference, because there is one! In a family, all of us have responsibilities. Some things we like, other things not so much. We are not paid to do these things (I wish I got paid everytime I made a meal!!!!) we do them simply because we are part of a family, and we all share the load and contribute. A child should not be raised with the idea that they are doing you a special favour by helping out, and therefore deserve a reward or payment. Kids should accept the fact that everyone pitches in, with a good attitude. That’s what family members do. Doing age appropriate chores is normal. If a parent chooses to give a special treat or reward for an extra special job done well, that is their prerogative. It should be appreciated, but certainly not expected. Allowance falls into a separate category, because it’s a great way to instill responsibility in children. (However, if chores are not done, the allowance is not given, but then the chores still must be done — they are not optional!). The other benefit of an allowance is that young children can earn money, and then the fun begins of teaching them how to save, spend, and give. And that’s another blog for another time. 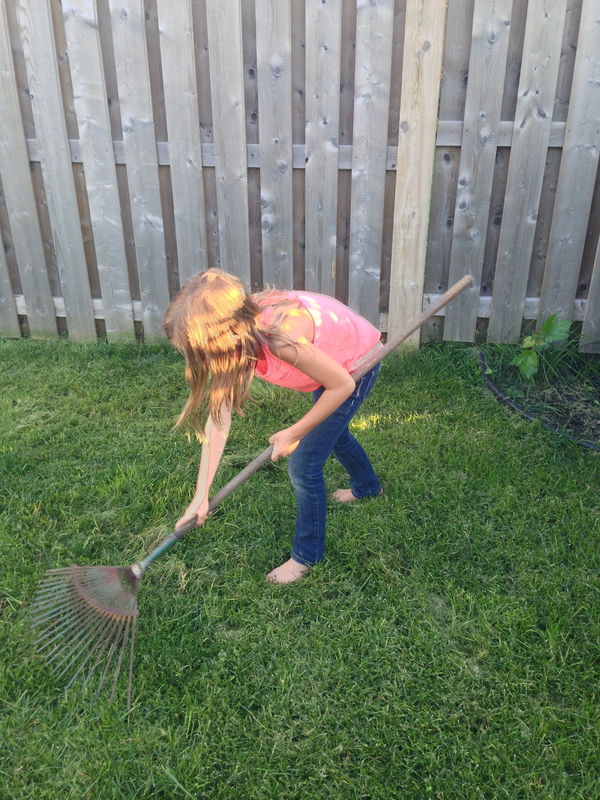 The goal is to raise children who are diligent, hard workers, helpful, clean, tidy, selfless, and on it goes. It takes work, but it’s so worth it. Oh and, start young — even a two year old can pick up toys! 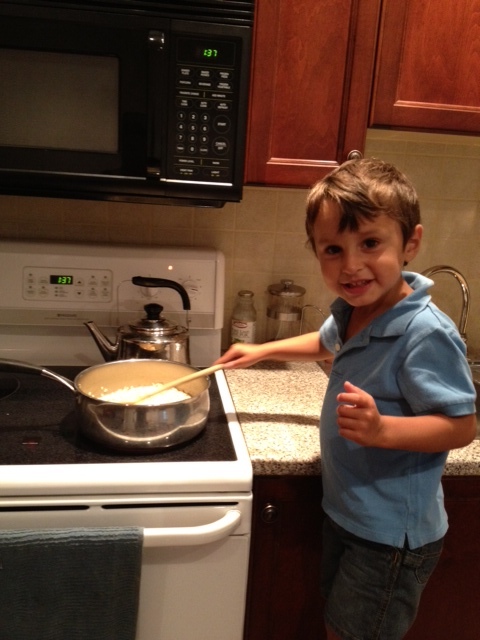 And a five year old can cook! Thank you for sharing your lovely story with us here at "Tell Me a Story." Rewarding a child for accomplishments is good. I enjoyed your examples. I remember receiving a small money reward for good report cards, and it was an incentive to achieve. Yes! Rewards are incentive to keep up positive character traits-- not a lure into suspending bad ones long enough to get by! Common sense reigns again : ) Children are capable of so much. Yet we trust them with so little in the area of chores. As a child we always had chores because we were part of the family. I tell my children the same thing today. Yet so many parents don't even give their children chores or bribe them to do them. Children need responsibilities to grow up responsible. Thanks for being a voice of common sense into the parenting world. Life & Blessings to you.